The competition within the fast food industry couldn’t be stiffer. Today, you can get the best chicken anytime, anywhere around Kampala, irrespective of your class. Last month, Kentucky Fried Chicken (KFC) opened shop in Bugolobi, and raised the level of competition in the market. The company promised to open four more branches by the end of this year. Known for their world famous original recipe chicken, KFC joined what Simon Schaffer, the managing director of Kuku Foods East Africa, called a “virgin market with a growing middle-class”. Kuku Foods runs the KFC franchise in East Africa. People naturally like new things as seen from the numbers that flocked to KFC, paying Shs 90,000 for a bucket of chicken. Faisal Mubiru, a regular at Chicken Bravo, Uganda house, says this KFC hype will die down as the company feels the pressure of doing business in Uganda, just as Steers, which closed shop, and Nando’s that is said to be on its way out. “I can’t imagine paying Shs 90,000 for a product I can acquire cheaply from the local chicken spots,” Mubiru says. He notes that KFC might operate an active Facebook page – 14,205 likes – but the competition staged by local fast food (chicken) spots should not be underestimated. There is a chicken spot in almost every shopping mall for the high-end while the low-end is equally catered for with spots like Kansanga Fried Chicken (whose patrons may decide to abbreviate to KFC, another KFC). Observers say that KFC’s entry should be an eye-opener for chicken spots in town to improve their quality and marketing. A 2012 study, “Determinants of fast food consumption in Kampala, Uganda”, by Jackline Bonabana-Wabbi, noted that fast food consumption significantly increased with disposable monthly income. The report pointed out that people with higher incomes were more likely to consume fast food than those with lower incomes. The study identified deep-fried chicken as the biggest consumed fast food compared to chips, fish, sausages, “chaps”, pizzas, kebabs, liver, and eggrolls, among others. “The taste, status and convenient nature of fast food dominated reasons for their consumption,” reads the report. 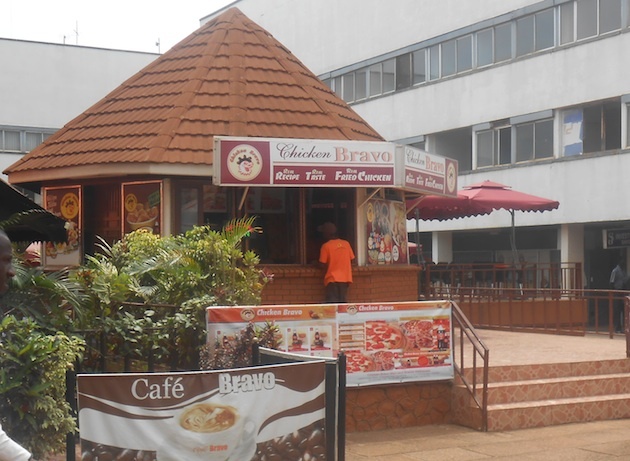 A staff at Chicken Bravo (Uganda House) says the coming of KFC means a positive trend towards best quality services. “It is good for the economy, consumers and farmers. Everyone will benefit from this healthy competition,” he said. Grace Mugabi, the manager at Chicken Royale, says there has been – and still is – a big vacuum to be filled. “People these days are surviving on fast foods, especially the corporate world. I think KFC can be a great addition to serving the growing market,” Mugabi says. 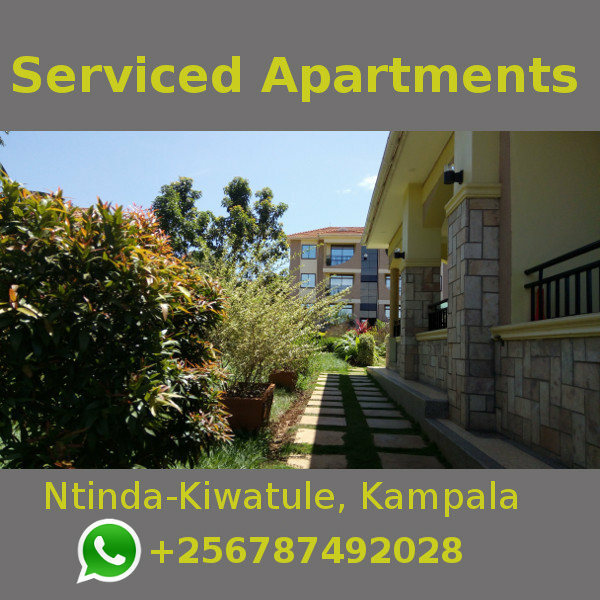 He adds that with the increasing supply, people will get better choices and service providers will strive to offer the best product. The indigenous chicken spots too are taking the competition head-on. Koko, Chicken Bravo, Indigo, Taste budz, Mr Tasty and others have improved their services as they try to stay relevant. “I have taken some of my staff to my fellow competitors’ spots such that we can learn more tricks,” said one manager at a local spot. Changes have already occurred at Nando’s. The joint has been rebranded; it is now called The Brood. Mugabi says the local fast foods have a comparative advantage compared to their international peers in terms of operational costs. “If you get a franchise (from an international firm), you have to pay a yearly subscription to the company. You end up hiking prices,” he says, noting that this has affected the likes of Nando’s and Steers in the long run.